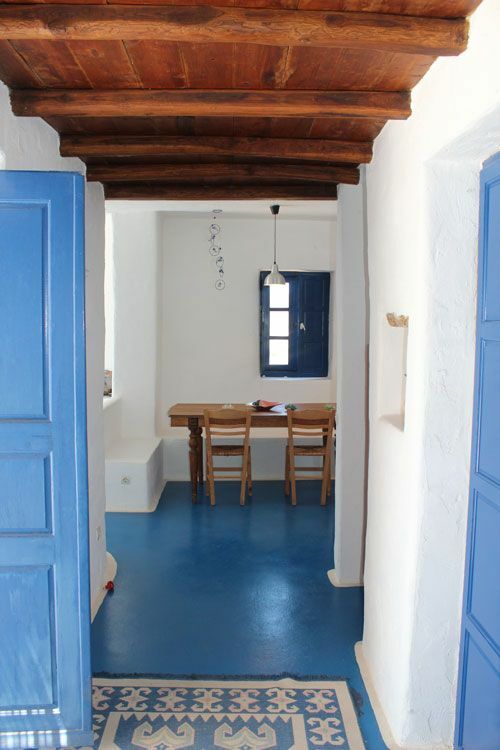 Villa Blue is a charming cycladic house with painted blue floors throughout that brings to mind the aura of the Aegean sea. 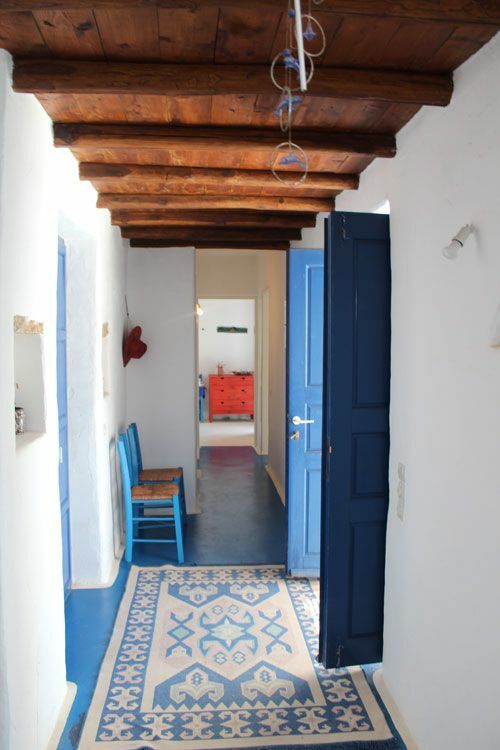 A long corridor with wooden beams on the ceiling separates the two double bedrooms and two bathrooms from the other areas of the house. 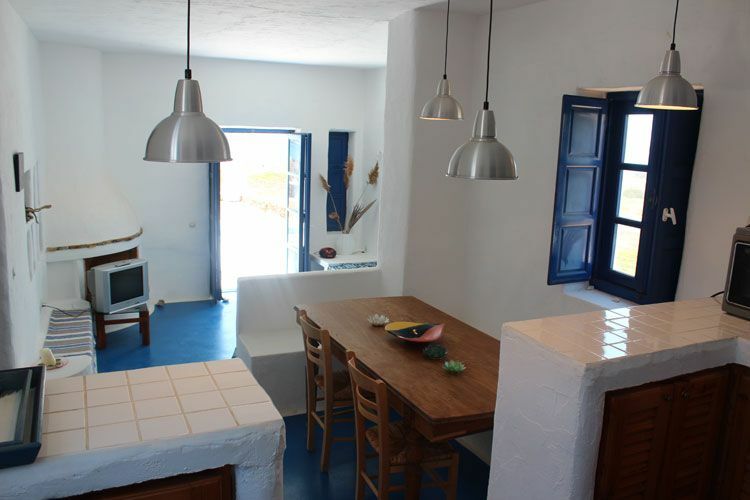 The two double bedrooms share a small private terrace. 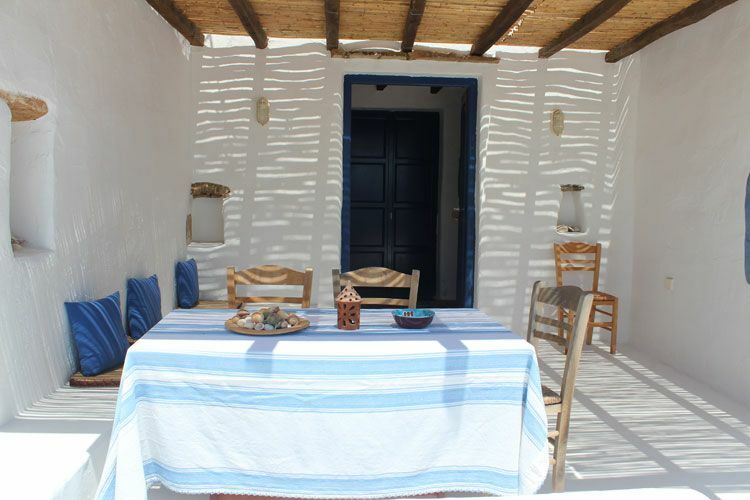 Outside a bamboo pergola provides shade for the outdoor dining and lounging area and is ideal for sitting any time of day. 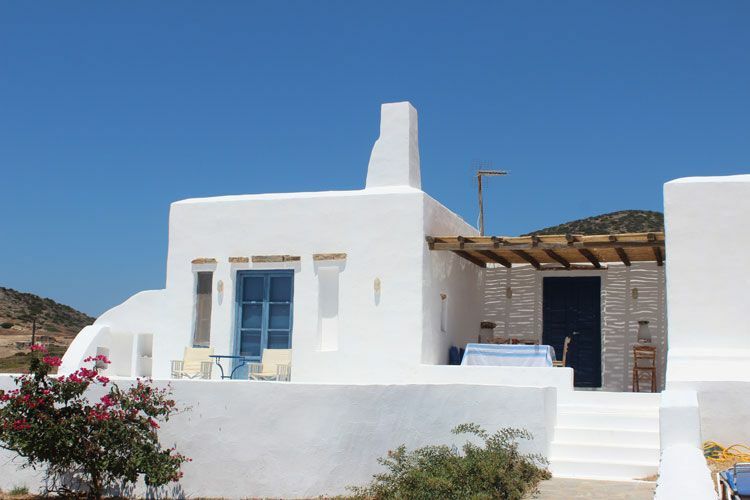 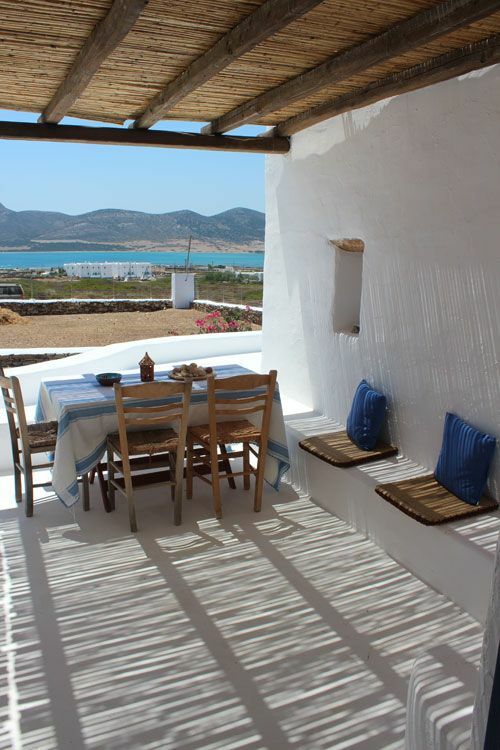 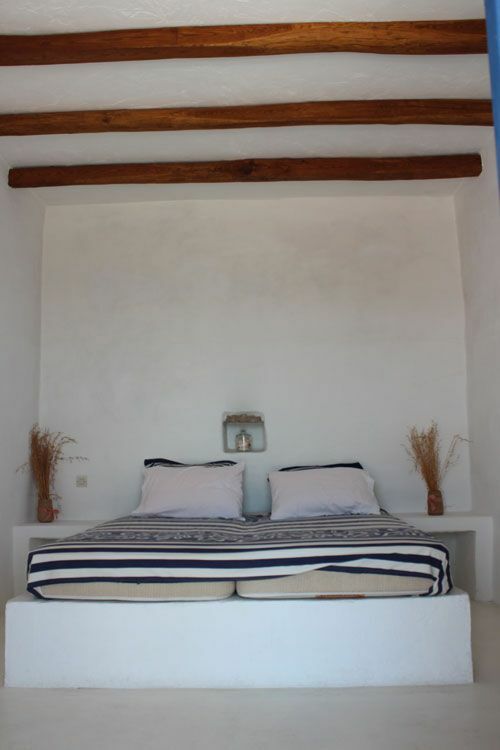 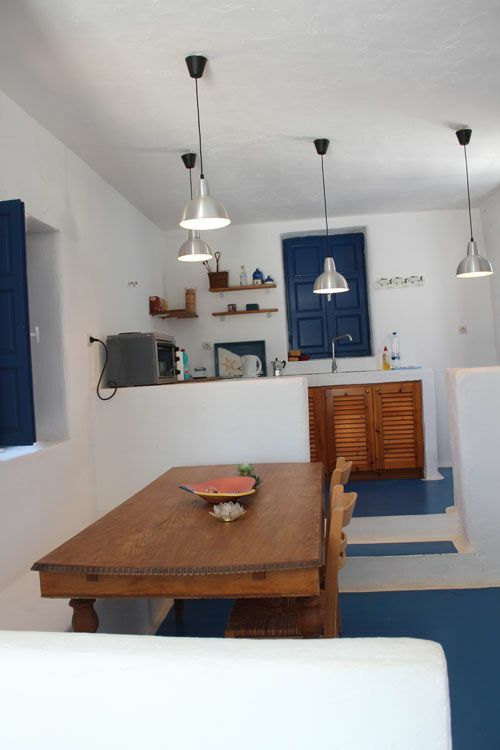 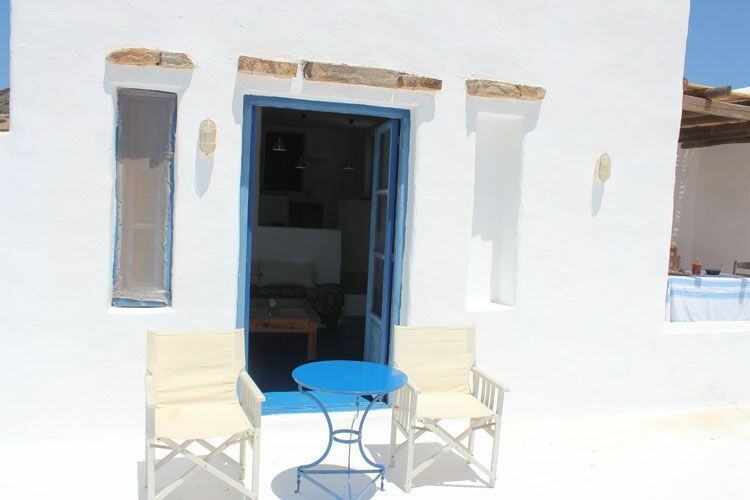 This south facing house has views of the sea and the small island of Despotiko across.